Have you heard of Hometalk? Hometalk is full of home and garden inspiration….it’s ok, go look if you haven’t already browsed there, just be sure to come back 😉 It is a great place to find some inspiration, but also to ask questions and get some answers and suggestions of what to do or how to do it. 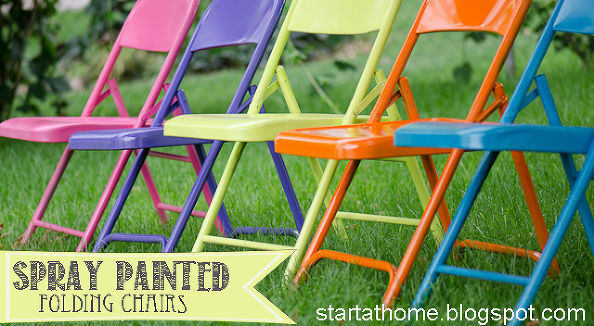 It is a great community of people who want to improve their homes and share their projects. So, when Hometalk asked me to curate a board, I jumped at the chance! How could I resist finding other great makeovers to share with all of you?! 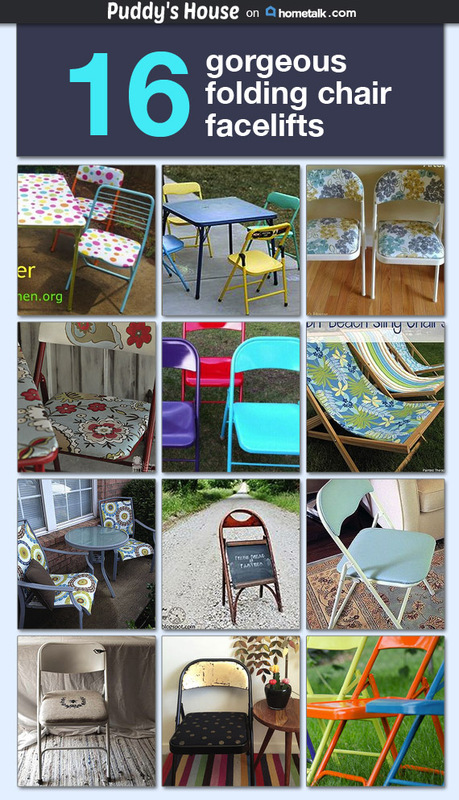 On this board, I’ve clipped 16 folding chair makeovers for your inspiration. I searched Hometalk to find the best ones to share, and even just searching was fun. 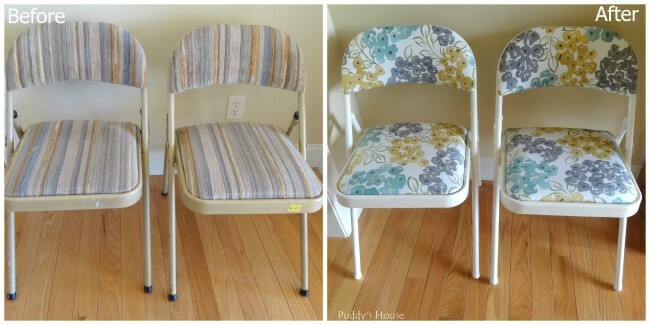 Of course, I had to include my folding chair makeover too. But, I loved so many more. Fun bright colors get me every time. All you need for these is some spray paint. 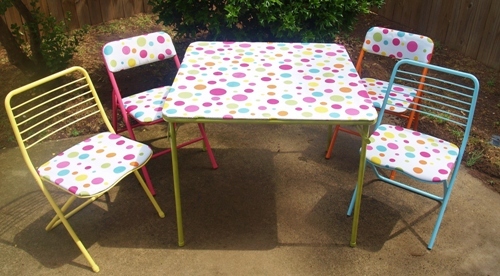 This full set was a dumpster rescue and transformed with the power of spray paint and a shower curtain! And, this rustic old set is so unique and beautiful now. 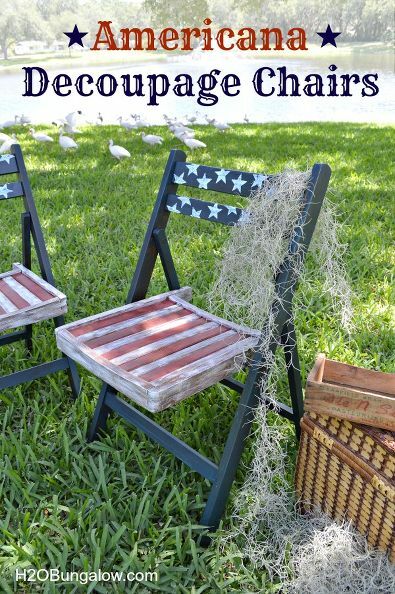 So, what do you think…do you have some old folding chairs sitting around that you could easily transform like these? I happen to have 2 more chairs in my basement that need a new look…I just can’t decide what look that will be. Thanks again to Hometalk for this great opportunity to share with you! !